Perhaps you want to go back to school after a decade in the corporate world or maybe you want to start work right after obtaining your bachelor’s degree. In both of these cases, you may be wanting to enrich your business education and career horizons without having to spend time on a campus. 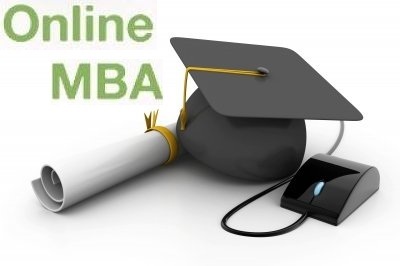 An online MBA is the answer to deciding whether to continue working or to take a break and go to school. The curriculum for an online MBA is just as rigorous as the on-site degree program, but you have more flexibility pursue a career and your degree at the same time. After working for a number of years, you may feel that you are stuck in a rut and have achieved everything you can by working your way up the corporate ladder. It is possible you have received raises and praise from your superiors but a management position still eludes you. The missing ingredient for your success may be an MBA. You may enjoy working for your company and do not want to interrupt your career by applying for a degree. Pursuing an online MBA will help you break through this barrier and achieve a higher position in your company. It wasn’t long ago that many people considered online degrees as somehow less impressive than earning a degree on-site. This was when pickings for online MBAs were slim and the institutions that offered them were not first rate. This has changed, however, as some of the finest business schools offer distance learning programs and online degrees. You may find that UAB’s online MBA is less expensive and provides more flexibility than an on-site degree. The University of Maryland offers on online MBA. Employers are impressed with those who obtain an online MBA while working because it shows discipline and dedication. The proliferation of software and apps that allow for easy transfer of data and facilitated communication makes online learning more viable than ever. It is possible to earn your entire degree online through attending lectures in real time or listening to a recording. You can use Google docs or Dropbox to share files with instructors and other students and to turn in assignments. You can easily communicate with your instructor through Skype or another form of visual communication and chat with other students about an upcoming project. Since much of business nowadays is digital, earning an MBA online is a logical approach to the world of work. An MBA is relevant to almost every kind of career and can enhance your standing in whatever position you fill. With an MBA, you can achieve a management position in a company more quickly than you would by working your way up. Most organizations, even nonprofits, can benefit from a business-like structure, and you can lend your expertise to the running of charities and organizations in the public sector. An MBA will give potential entrepreneurs the skills they need to build the foundations of their companies. You can achieve all of these things without leaving your home by earning an online MBA.